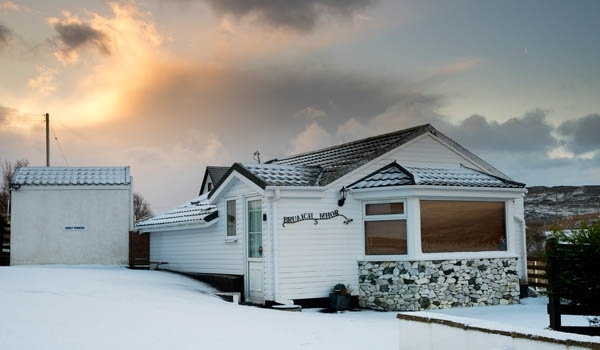 Bruaich Mhor cottage will provide you with a comfortable base with stunning mountain and sea views from which to enjoy and explore the magical Isle of Skye. It is a modern, well-equpped self-catering cottage near Broadford. Bruaich Mhor is a modern, well-equipped self catering cottage located in Scullamus near Broadford on the Isle of Skye. The cottage has a main double bedroom that comfortably sleeps two people. The cottage was built in 2009 to provide all necessary facilities and amenities for your holiday on Skye. 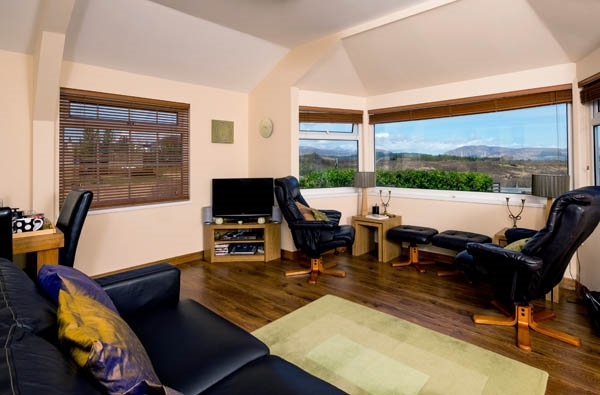 The main sitting room has an open plan kitchen with a dining area and large panoramic windows with superb views of the Red Cuillin mountains and Broadford bay. 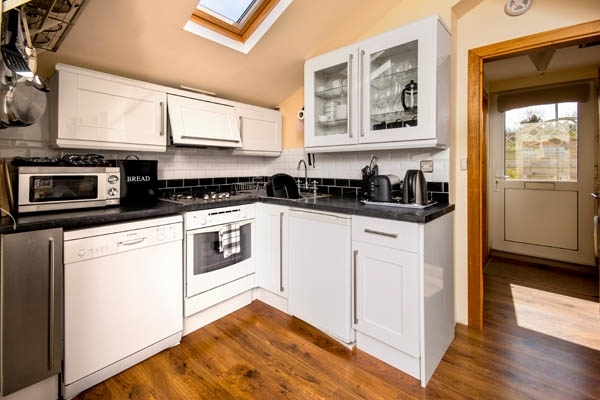 The self-catering cottage is next to the owner's home, however it is completely self-contained with its own parking space and small decking area outside. 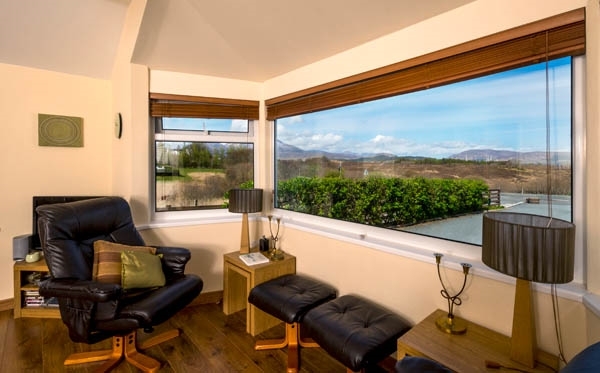 The cottage is ideally situated to explore Skye and enjoy a range of activities including walking, mountaineering and scrambling, cycling, fishing, kayaking, golf, wildlife watching and enjoying the amazing scenery of Skye. Around Broadford and Breakish there are a number of interesting mountain and coastal walks suitable for all abilities. For the more adventurous the pretty fishing village of Elgol provides boat trips to Loch Coruisk lying in the heart of the Cuillin mountains. A trip over the Skye bridge onto the mainland to visit the village of Plockton as well as the iconic Eilean Donan castle at Dornie is also recommended. The nearby village of Broadford is a few minutes drive from the cottage and is the second largest on the island. Broadford has a supermarket, shops, bank, petrol station, pubs, cafes and several restaurants. For a special meal Lady Claire MacDonald's Kinloch Lodge is nearby or the famous Three Chimney's restaurant to the north of the island. The cottage sleeps a maximum of two people, we are unable to accept pets.